**This is a FREE Members-only workshop. Space is limited. Please reserve your spot below. Some of our favourite books remain so not only because we love the plot but the characters feel real to us, even the villains—especially the villains. But how do you know if your “bad guy” holds up to serious reader scrutiny and isn’t just another placeholder character? How can you make your villain so bad we can’t resist him? Or so evil that we can’t wait for the hero to win the day? In this workshop, you will be invited to take a close look at the villain/antagonist archetype. After breaking down what makes our favourites so fabulous, you will work toward building a villain with a team of writers. Once we analyze the building blocks of each new creation, we’ll then workshop your own villain and put him through his or her paces. Workshop will be held on Thursday, October 4th, 2018, from 7:00pm to 9:00pm, at Newmakeit in Newmarket. MJ Moores has traditionally e-published 2 non-fiction industry guides and 1 marketing guide. She is currently working on her fourth Sci-Fi/Fantasy novel set for publication summer 2018. Her writing articles have appeared in Authors Publish Magazine, Indyfest Magazine, Easy Writer, and in the Writers Guide: The Writing Spiral published by Sunshine in a Jar Press. 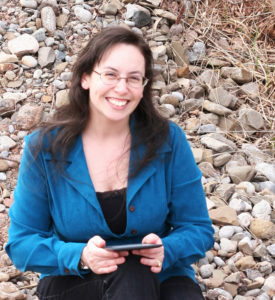 MJ taught high school English, was a genre writing coach, freelance writer and currently edits for DAOwen Publications (Ontario) and Imajin Books (British Columbia). She loves nothing more than helping writers through this crazy journey.